We outline a research journey which set out to tackle automatic programming and got distracted by success in a series of real-World applications including Software-defined Cellular Communications Networks, Design, Engineering, Business Analytics and Finance and Search-based Software Engineering. In particular the domain of software-defined communications networks represents a significant opportunity for the application of automatic programming and will be the focus of this chapter. When one takes a problem, as opposed to method, perspective what becomes important is finding the best method or combination of methods to extract the best performance in the problem domain of interest. 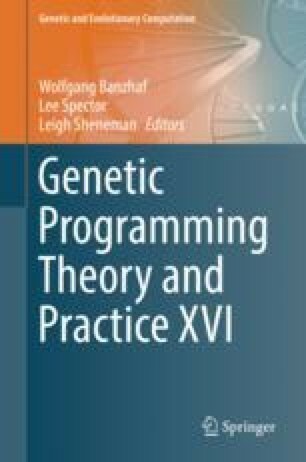 We propose that the field of Genetic Programming needs to take a broader perspective, to return to its roots in the problem domain of Automatic Programming, redefine itself to this end, and embrace a wider set of methods in order to achieve success in this holy grail problem. We would like to acknowledge and thank the significant contributions of members, past and present, of the UCD Natural Computing Research & Applications Group to the body of work, which this chapter represents. This research is based upon works supported by Science Foundation Ireland under grants 08/IN.1/I1868, 13/IA/1850 and 13/RC/2094.